During today’s live Lucasfilm Q&A, the cast and crew revealed a new Rogue One clip featuring Jyn Erso, Cassian Andor and the new droid K-2SO. Check it out below! 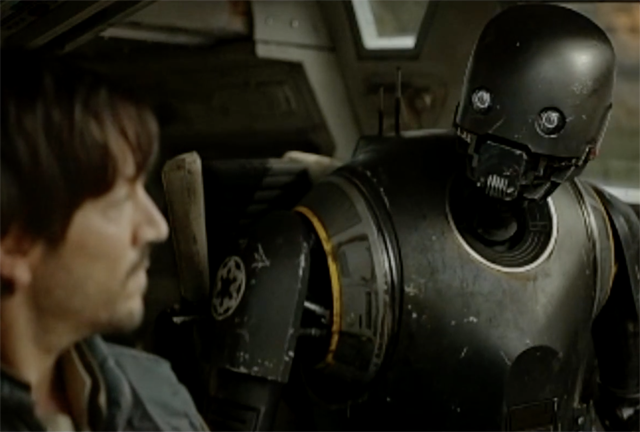 RELATED: Watch the Live Rogue One Q&A and New Footage!